Synopsis: Governance of Genetic Resources maps out a landscape of the international governance of genetic resources. It shows what governance efforts currently exist, what is missing, which areas are problematic, and outlines what the international community should be aiming for in regard to its future development and implementation. The book begins by exploring the historical development of international genetic resources governance and considers why the area has become so significant and complex. It goes on to analyze the current situation and develop recommendations on what governance efforts should be achieving for the future. This timely study will be of interest to students and academics concerned with the management of genetic resources and its connection to issues such as intellectual property rights, biodiversity conservation and food security. It will appeal strongly to academic researchers in the fields of international relations, international law and global governance, environmental science, development studies, and the biosciences. 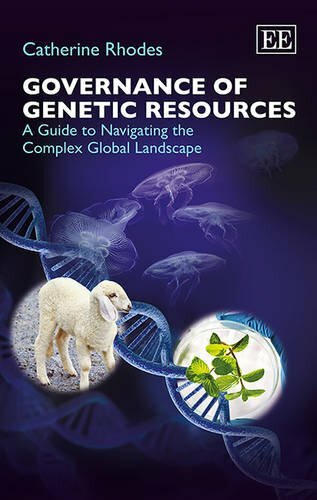 The book will also appeal to policy-makers and practitioners, particularly those working in or with international organizations involved in genetic resources governance and to national decision makers seeking information on the international context for genetic resources management.